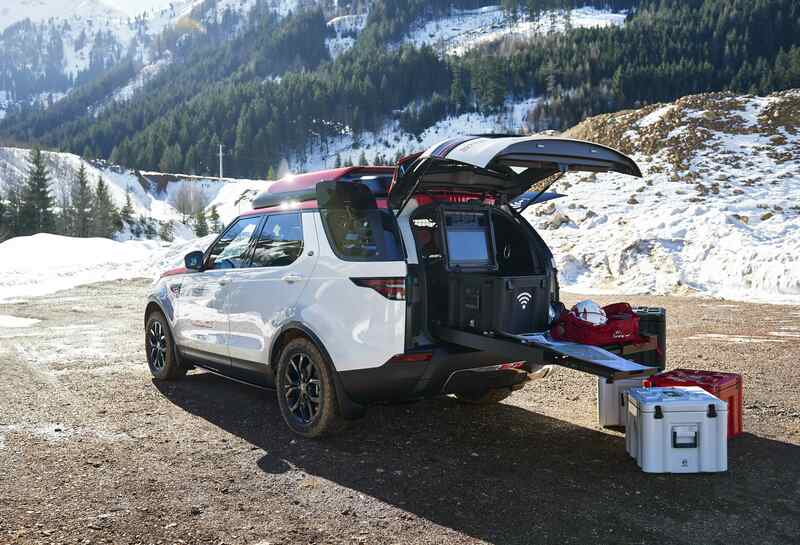 Jaguar Land Rover’s Special Vehicle Operations (SVO) unit was flexing its muscles at this year’s Geneva motor show but the resulting heavily modified off-roader could go on to save lives, rather than simply make its owner look good. 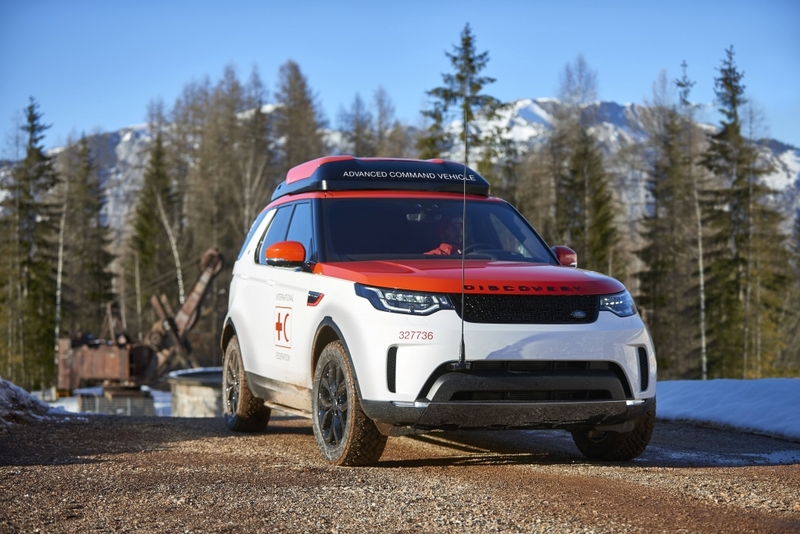 Dubbed the Land Rover Discovery Project Hero, the bespoke 4×4 sees a standard 3.0-litre TD6 Discovery kitted out will all manner of advanced communication technology that has been designed to help the Red Cross deliver humanitarian aid. The ultra-tough vehicle is said to be the first with a roof-mounted drone. It also boasts a fully integrated landing system that features self-centring and magnetic retention technology, which enables the unmanned craft to land on Project Hero when the vehicle is in motion. 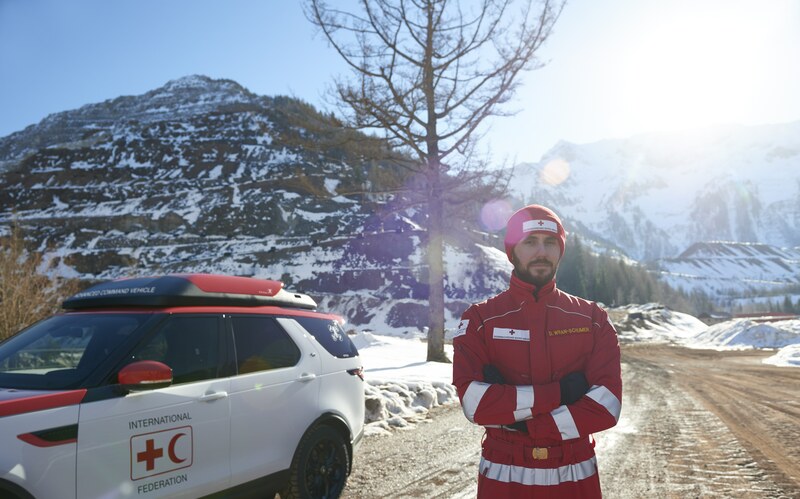 Once the drone is airborne, live footage can be transmitted to the Red Cross’s emergency response teams, helping them respond more quickly and effectively to landslides, earthquakes, floods and avalanches. According to Land Rover, dramatic landscape changes can, “make maps redundant, which adds to the danger and difficulty of finding and rescuing survivors”, so the drone’s bird’s-eye view should allow rescuers to investigate an emergency scene from a safe distance. Other notable tweaks and modifications include a heavy-duty sliding floor in the rear load space, which may be deployed as an additional work surface, or to protect the load carried underneath. There’s also a segregation panel behind the rear seats that provides additional equipment mounting points and strategically positioned LED lighting to aid night vision, as well as multiple power outputs and sockets. Unfortunately, there are no plans to make a drone-equipped Discovery available to the general public, which is a crying shame.